How do I control when form is available and when the event is closed? Is there a way to prevent more people from signing up after the registration is closed? Is there a way to change the font size on the fields? At least one on my form is too big to fit and gets cut off. You can limit the form submissions from the form preferences by cookies, IP address, setting expiry date, number of submissions, etc. 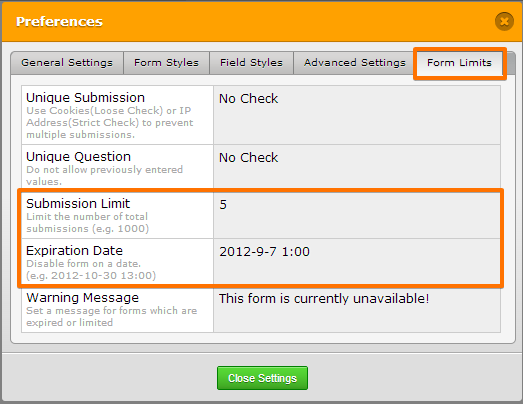 Please refer to the following guide that can help you in setting form submission limits. Your second question is moved to a separate thread and shall be addressed there.